Upper school students were invited to perform and compete in the annual Shakespeare monologue competition, held in the Nichols Auditorium yesterday during lunch. Students were asked to choose from a list of monologues posted on Schoology and perform it before a panel of judges, who scored each student’s performance based on a rubric. Joel Morel (11), who placed first with his performance of a monologue as Mercutio from “Romeo and Juliet,” will represent Harker at the regional branch of the National Shakespeare Competition in March at San Francisco, and the top three performers each received prizes for their work as well. English teacher Charles Shuttleworth and theater teacher Jeffrey Draper co-organized this competition, and English teachers Ohad Paran, Jennifer Siraginian and Nikolai Slivka, along with Shuttleworth and Draper, served as judges. 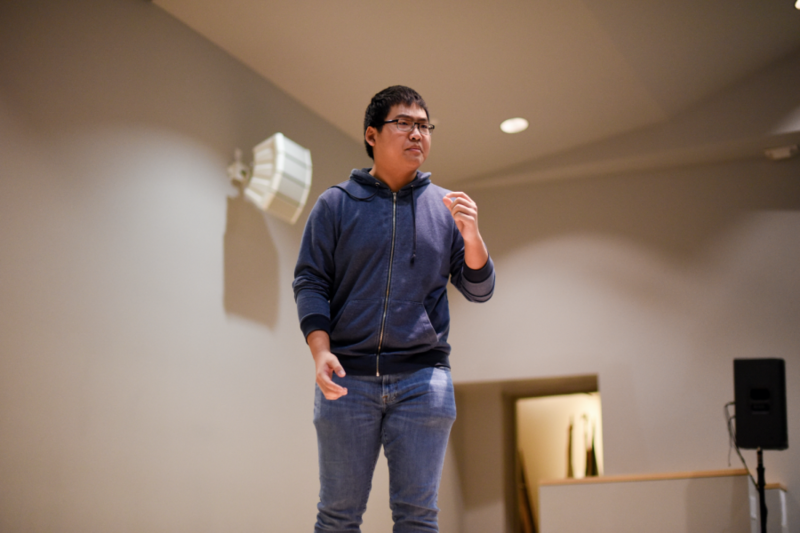 Ben Yuan (12) performs a monologue from "Othello." Students' monologues were judged by a group of five teachers, and the winning monologue will advance to the regional competition in March.